I made this worksheet for summer vacation last year, but thought that it would be great with a winter update. So I changed the title and added a selfie taking snowman. 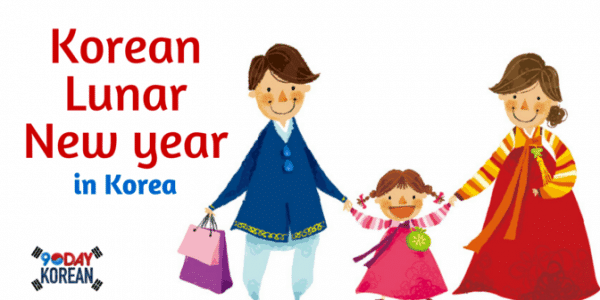 Hope this helps with your back to school classes. 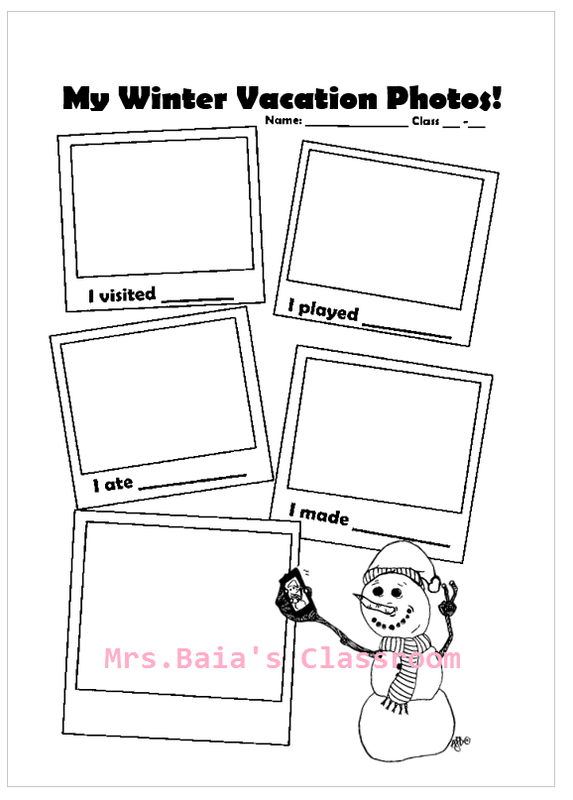 Download my Winter Vacation Photos worksheet here. 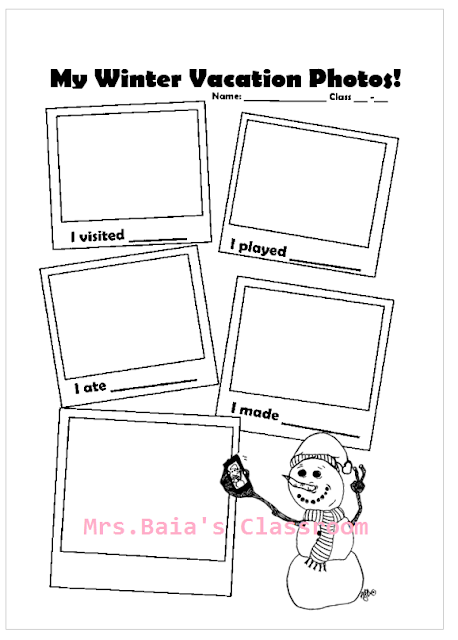 To see the summer vacation photos worksheet , click here.